We were in Thailand when the international media were trumpeting political unrest and turmoil in the streets. Naturally we were somewhat wary but reassured in that Foreign Affairs Canada had simply suggested Canadians avoid a particular block near the centre of the city of Bangkok. The way in which the citizens of this heavily Buddhist country handled their political differences was atypical of a remarkably outstanding country. We truly enjoyed our stay in this very beautiful country not simply because of its many wonders but mostly because the people themselves are just really nice to be around. 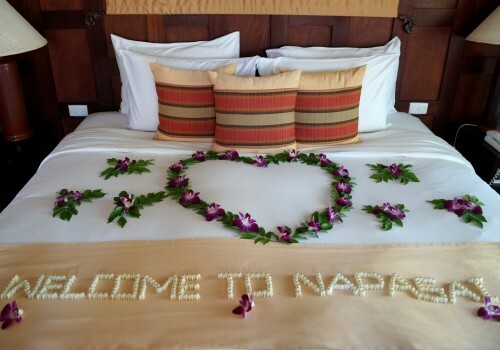 This very positive environment lends itself particularly well to those seeking a romantic getaway. 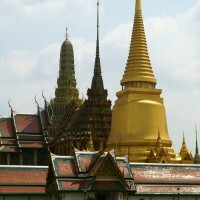 Bangkok is known as the Venice of the East due to the extensive network of natural and man-made canals. A truly modern city is complimented with a host of golden temples, beautiful colonial buildings and bustling open markets. 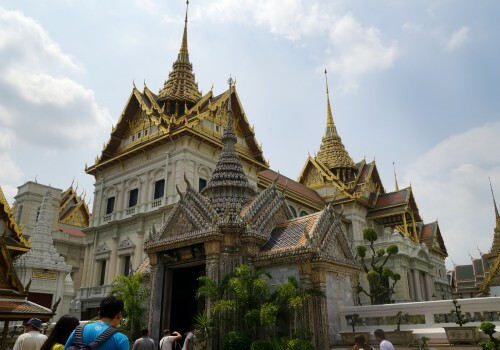 We were particularly taken with the Grand Palace, dating from 1782 and until 1925 home to both the King and government of Thailand. It still serves for official events with a portion reserved for government offices and is likely the most popular tourist attraction. Comprised of several palaces and halls it is a surprising blend of Italian Renaissance architecture and classical Thai roofing. 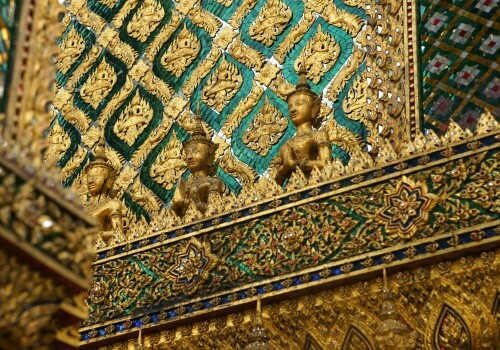 Of particular note is the Emerald Buddha Temple housing the Emerald Buddha just thirty inches tall and Thailand’s most venerated image symbolizing the independence, strength and good fortune of the country. Adjacent to the Grand Palace is the Wat Pho, housing the gigantic Reclining Buddha, and is also considered the first public university for students of science, religion and literature. This is also the birthplace of Thai massage and where it continues to be taught. When in Bangkok be sure to take advantage of the long boats available to explore the canals which crisscross the city. This provides a unique opportunity to get a glimpse of the way of life of the residents long used to going about their lives both living and working on this very extensive network of waterways. 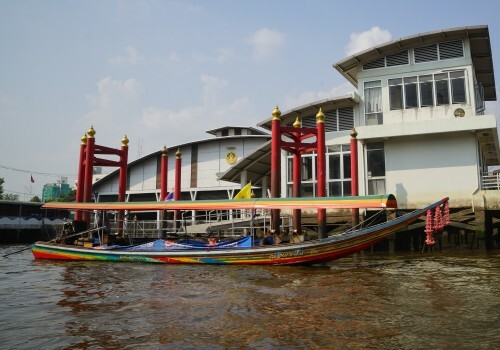 If given the opportunity be sure to explore the Royal Barge Museum housing the royal barges. Originally war vessels these vessels are used by the royal family for festivals, royal marriages, coronations and funerals. Peninsula Hotels provides excellent accommodation while in Bangkok. This award winning group of just ten hotels in significant cities around the world seeks to provide a luxury experience for its guests. Naturally we took advantage of their very relaxing spa and found dining to be a delectable experience. From Bangkok we journeyed north to Chang Rai. 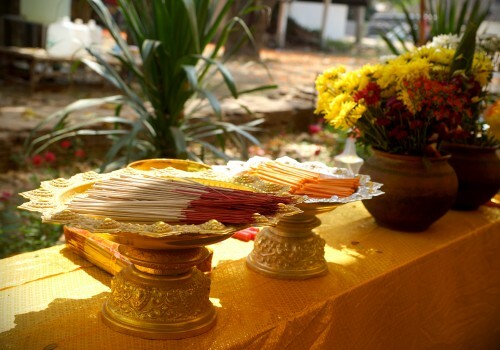 While in northern Thailand the Buddhist influence was very welcomingly apparent. The people went of their way to be helpful and courteous. There are five basic precepts of Buddhism: do not kill any living being, do not steal, no sexual misconduct, be honest and no intoxicants. With ninety-five percent of the citizens practising Buddhists the society they have created is a joy to be involved with. The most outstanding memory I have of Thailand is simply the joy of being around these people. 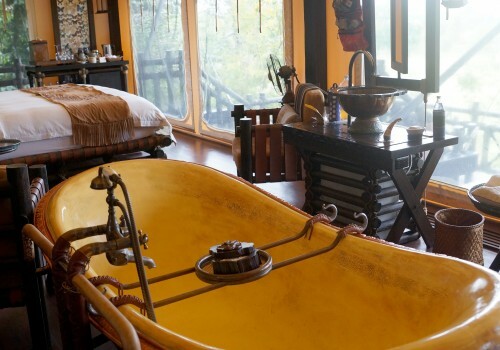 We always enjoy Four Season’s properties around the world but the Four Seasons Tented Camp Golden Triangle is truly outstanding and absolutely unique. If looking to impress a loved one this is the place. 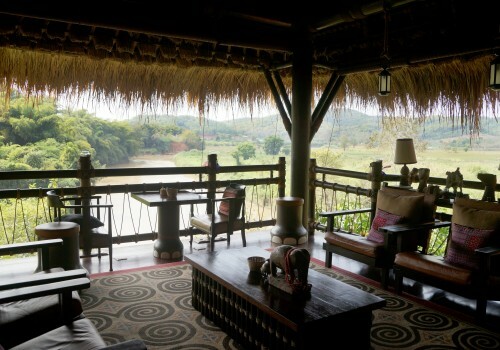 Reached by river boat, the property is found amid exotic bamboo jungles in the triangle where Thailand, Laos and Myanmar meet. This all-inclusive resort has only fifteen tented accommodations and typically offers three night adventures. We took advantage of the opportunity to receive elephant mahout training. This of course led to utilizing our new found knowledge to each ride an elephant through the jungle and down to the river guiding him with newly learned voice prompts and gentle nudges to the back of the ear. However, we did not anticipate that the elephant would take the opportunity to bath by spraying his back. Being a Four Seasons the dining is excellent. Plus of course there is an excellent spa positioned in a scenic spot in the jungle. This property is truly an unforgettable experience. Next we headed to Chang Mai with a stop at the Wat at Rong Khun, a very unusual temple, along the way. 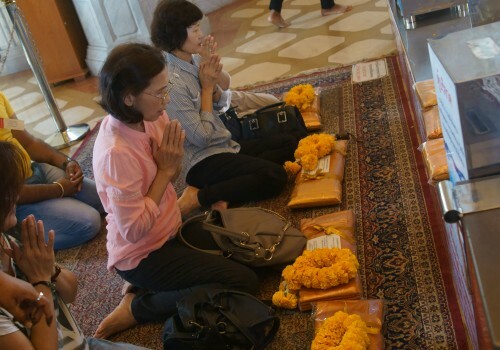 The temple was conceived by artist Ajarn Chalermchai Kositpipat, well-known throughout Thailand, he wanted to build the most beautiful temple in the world to commemorate modern Thai Buddhist arts. Following his design from 1997, he and eighty followers have committed their lives to creating and maintaining this very beautiful all white temple. The temple is a work in progress according to the artist who feels his work is never done, though for the visitor it appears to be a masterpiece that’s completed. In Chang Mai we stayed at the Shangri-La Chiang Mai situated in the heart of this old Thai city. 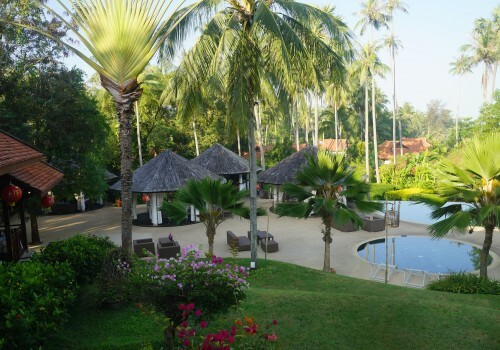 Naturally the property was most comfortable with great dining and of course a spa offering Thai massage. Chang Mai is the largest city in Northern Thailand, the capital of the province, and second in importance only to Bangkok. Founded in 1296, it is a modern bustling city with over three hundred Buddhist temples. It attracts a very significant number of foreign tourists each year. 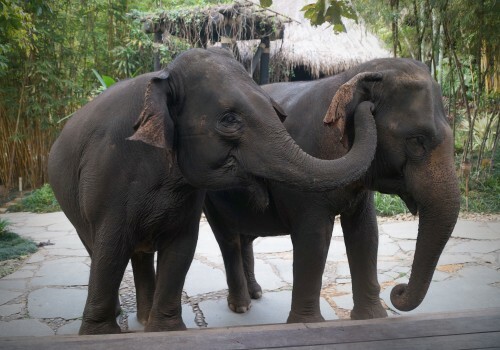 Near to Chang Mai is the Chang Dao Young Elephants Training camp. Here visitors are able to watch as the mahouts direct the elephants in a typical exercise demonstrating how they have worked alongside humans for centuries. This is followed by an hour and a half elephant ride into the forest to visit a Lisu hilltribe village. After reaching the river again the trip continues by rafting down the river and landing nearby to an orchid farm in Mae Sa. For those with an interest in orchids this is the spot with numerous varieties complimented with butterflies. 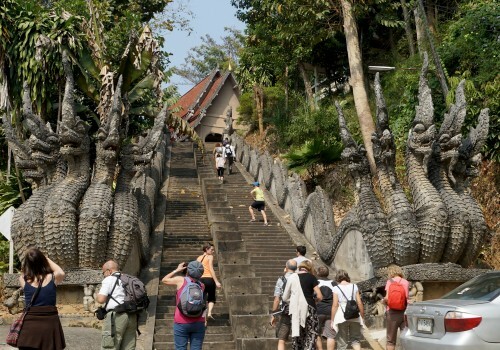 Back in Chiang Mai we headed to its most famous landmark the Wat Phrathat Doi Suthrep. The temple was founded in 1383 with the legend being that a holy relic was placed on the back of an elephant. The temple was said to have been created where the elephant came to rest. The resting place happens to be on top of the highest hill in the area. A flight of 309 steps lead to the temple grounds, or there is a short tram ride. The temple grounds are entirely worth the visit plus the views of the surrounding area are spectacular. From Chiang Mai we headed south of Bangkok to Trat. 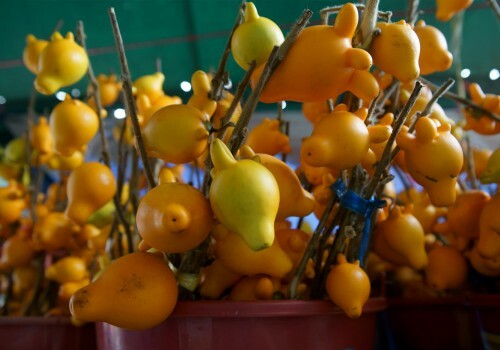 The north and south of Thailand are surprisingly different. 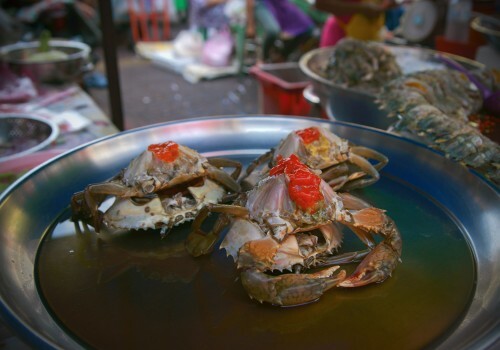 While the north is very agricultural making Thailand pretty much self-sufficient food-wise with sufficient produce to be an exporter as well, the south has a greater dependence on tourism as a result of the national parks, popular beaches and islands with great snorkeling. This region attracts many couples looking for that special spot as a result of the wide selection. From Trat we took a ferry to the island of Koh Chang as the island has no airport. The third largest Thai island, lies near to the border with Cambodia, and 85% of it is protected in the Mu Koh Chang National Park. The park comprises some 52 islands. The water is clear and warm and a divers delight. On the island we stayed at The Emerald Coral Cove Koh Chang. 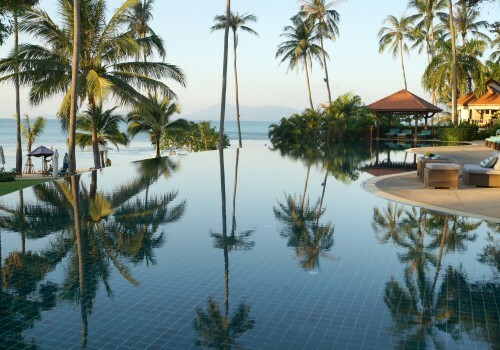 This 5-star resort sits on Klong Prao Beach offering great access to the warm waters. With 165 rooms the property offers all the amenities one would expect including of course good dining, and spa treatments in a beach cabana. An easy walk takes you into a local commercial area providing access to local cuisine and shopping. We particularly enjoyed the opportunity to catch a small boat at the beach just in front of the property for a private snorkeling trip of five nearby islands. Our day was spent sailing from one scenic spot to another where each one seemed to have better snorkeling than the last. It was at this property that we first realized how popular Thailand has become with east Europeans and Russians. There are direct flights from Moscow to Bangkok. Next on our agenda was Koh Samui Thailand’s second largest island. 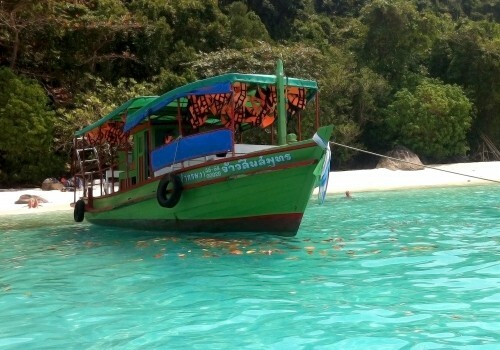 The island is principally a tourist destination as a result of being surrounded by 42 other islands, which together make up the Angthong National Marine Park. It was the second national park to be established in Thailand. We spent a day touring the park by boat. The views from both the water and the tops of the islands were spectacular making the area the second most popular tourist destination in Thailand after Bangkok. Koh Mae Koh is an island well worth visiting as you can climb to the top and then look down on a gorgeous emerald lake in the middle known as Talay Nai. 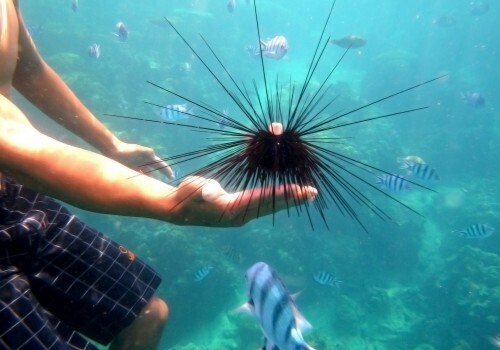 Naturally snorkeling and diving is very popular in the park with lots of coral reefs and clear water containing an endless variety of water life. 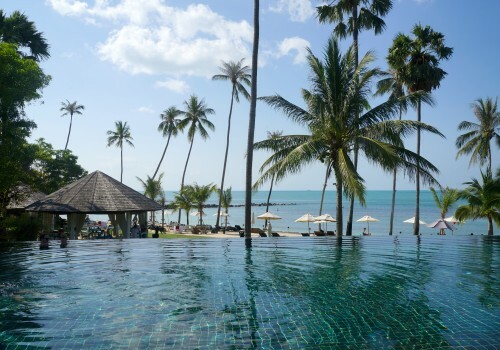 As Koh Samui is such a popular tourist destination there are numerous resorts and hotels to choose from. We were particularly pleased with the Belmond Napasai which lies in a grove of cashew trees making it a very private location. Our accommodation was a spacious villa sitting on a secluded beach the property lies on. The opportunity to open your front door and be just steps from the lagoon beach was a treat. Naturally there was an excellent spa and of course dining was superb. The infinity-edge fresh water pool sits in the middle of it all and is open 24 hours. Spending an extended holiday in this service oriented resort would be a treat. We enjoyed our time in Thailand immensely and readily understand why it is such a popular tourist destination. Being principally tropical the vegetation alone is worth the trip. The obvious differences between the north and south and Bangkok made for greater understanding of the current political differences. The north which is more heavily populated and more agrarian has voted enthusiastically for the political party which Bangkok and the south tend to be opposed to. Even so as I mentioned at the beginning of this piece during our time there we saw nothing to make us uneasy. I can’t stress enough how pleasant and hospitable the Thai people are. Combine that with fabulous scenery, great warm water beaches, and unique cuisine and of course Thai massage and it makes for a great adventure.